Need an awesome, local mechanic to work on your car, but don’t know where or how to find one? Look no further. 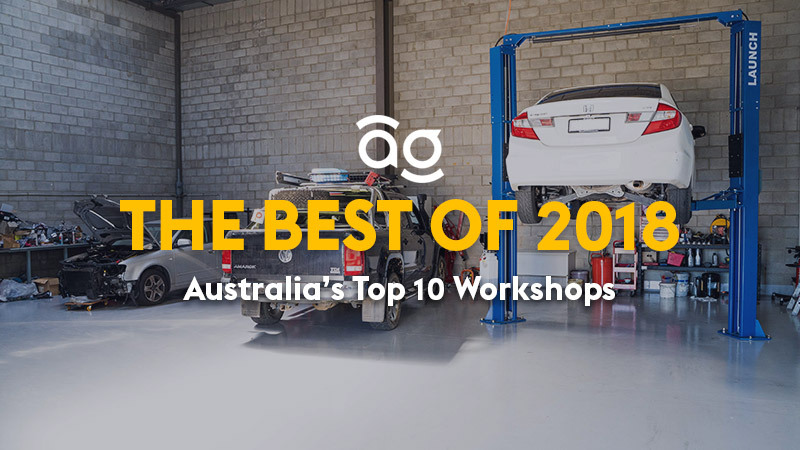 With a network of over 1700 mechanics that are bookable online, here are the 2018 National Top 10 Workshops on AutoGuru. Check it out and see if your local workshop has made it to the list! AutoGuru would like to extend a huge congratulations to Jesse Learmonth and the epic team at Rapid Tune East Brisbane for coming in at #1 on our Top 10 Mechanics in Austalia list! Princes Motor Repairs is run by Klement, who has a bucket-load of experience in the automotive industry, and has been running his workshop since 1986! The team specialises in European cars, however they can use their latest equipment and computer scan tools to service and repair all makes and models to the highest standard. With over 120 reviews and an average star rating of 4.8, you can expect the very best service from the awesome crew at Princes Motor Repairs. Check out what one of their happy customers had to say about them. Coming into #3 is Michael Georgas and the team from Absolute Car Care in Woolloongabba. Australian Mechanical has earned some great reviews throughout 2018, here’s a look at one of them! Greg and the team from The Car Doctor have taken out the number 1 spot in Canberra! Their reputation has been built through word of mouth, suggesting that their car service and repairs are competitively priced and worth talking about. The Car Doctor is both owned and operated by head mechanic Greg Murray who along with his highly qualified team of automotive repair technicians promise car service and repairs satisfaction. Using only quality parts when genuinely required, The Car Doctor offers detailed advice prior to commencing any car service and repairs procedure and provides a written report upon completion. They offer cost effect solutions and straightforward explanations for any issues they may be experiencing. AutoGuru customers are loving The Car Doctor, they’ve given them a 4.7 star rating! The specialist technicians at Cox Auto Service Centre will make sure that you and your car receive the highest quality service possible. The team, led by Ashley, has been in operation for over 40 years and has all the latest diagnostic equipment to service and repair all makes and model. If you decide to hang out whilst your service is completed, they’ll even provide complimentary coffee and wi-fi while you’re there. The team at Cox Auto Service Centre pride themselves on transparency and keeping customers informed, and their reviews speak for themselves! A big congratulations to Nick and the team at Midas Woollahra who have come in at number 1 for Top Mechanics in Sydney! Whether you need a major or minor service for your car or 4WD, the expert team at Midas Woollahra provides an extensive range of auto services and repairs. If you’re looking for a logbook service, their mechanics deliver a comprehensive service that ensures your vehicle is operating safely and economically. You can also have peace of mind that all of our work is covered by the national Midas Guarantee, meaning you’ll never be left hung out to dry! Check out of the awesome reviews for Midas Woollahra on AutoGuru. Craig Greene and his team of expert mechanics at ABS Collingwood specialise in mechanical repairs and tuning, including carrying out log book servicing. The workshop has been in operation for over 10 years, and has a whopping 8 service bays, attended to by 4 qualified mechanics. There’s also a loan car you can use whilst your own car is in the very capable hands of the ABS Collingwood crew. With over 130 reviews on AutoGuru, ABS Collingwood has proven time and time again that they provide an awesome service experience. Take a look a this great 5-star review. Jignesh and his team of qualified mechanics at Midas Car Care Kew can look after your vehicle's log book servicing, brakes, safety inspections, tyres, exhaust, suspension, and general under-car repairs. This workshop has been in operation for over 10 years, and includes 3 service bays, attended to by 3 mechanics. A drop-off service can be arranged (up to 5 kilometres), and the workshop has one loan car, subject to availability. The crew at Midas Kew have earned over 100 great reviews on AutoGuru from their customers, including this awesome 5-star review! Results were recorded on January 31st, 2019. Are you looking for an awesome local mechanic?